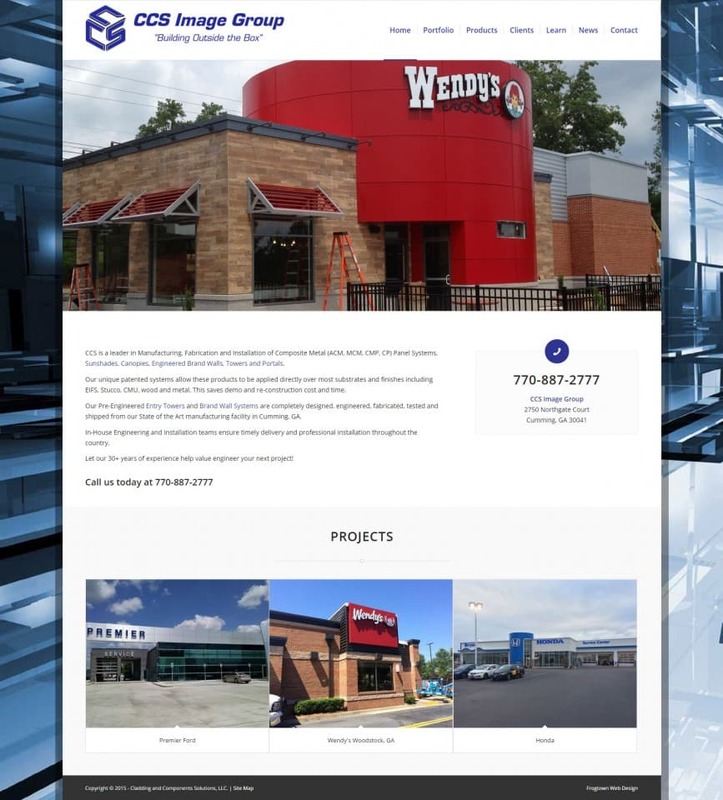 Frogtown created a new responsive and mobile-ready WordPress website for the CCS Image Group to showcase their project portfolio. Password protected project pages allow project managers and clients to remotely check the project status and view recent pictures. CCS is a leader in Manufacturing, Fabrication and Installation of Composite Metal (ACM, MCM, CMP, CP) Panel Systems, Sunshades, Canopies, Engineered Brand Walls, Towers and Portals.